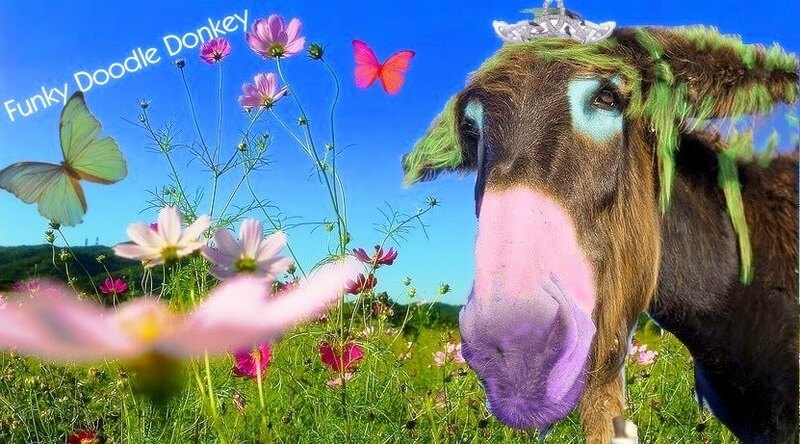 Funky Doodle Donkey: Star of the week! 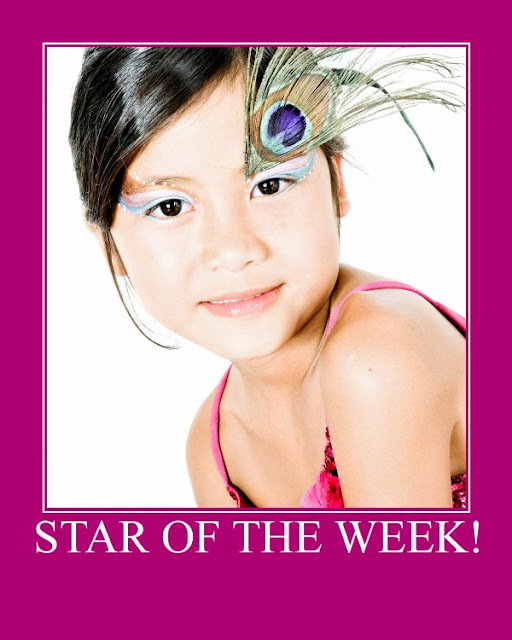 Every child in Jasmine's class is the Star of the week once. This week it is Jasmine's turn. And she feels so proud! Normally she doesn't like it to be in the limelight or to be the center of attention, but in this form she can handle it because it is done in such a nice way that even the shyest kids are enjoying it! On Monday she brought 10 items from home that have some sort of meaning and talk with their classmates about it. She brought some items from Thailand, Holland and the US. So she had the opportunity to talk a bit about all the countries she has lived in. Then she brought some of her favorite toys as well. Also she brought a collection of photographs from birth to now and she told the class what's happening in each picture. On Tuesday she brought her favorite book (Jock of the bushveld) and the teacher read it to the class. On Wednesday the teacher read a letter to the children that I wrote about Jasmine. Why she is so special to us. And that she is our star always!! Today, Dirk and me went to her school and I made a special lunch for her, JJ and her friends (Pad Thai & Chicken Satay) and we shared this lunch in the cafeteria. So we were her lunch buddies! Tomorrow is the last day of her special week and she will be presented with a friendship poster created by her classmates. The poster will include the Star's picture, surrounded by compliments written by her classmates. This is such a cute idea! I love this Star of the Week project, it will bring so much self esteem to all the children and they feel so special for a whole week! I hope you have a special week too, tell me about it!! What a sweet idea! I love it. Wish all teachers were so creative and encouraging. That is fantastic! We need more of this type of thing in the middle school. I am going to work on how to incorporate this into my first year French classes. such a good idea and very nice story to share. those girls are just so big already, unbelievable. all the 'baby' is gone meanwhile....now theyre heading towards young ladies.... time passes too quick. Lovely parents bringing the picnic!!! What a great thing! Such a nice way to celebrate each child's special qualities!